My friends, this has been a blast! I have enjoyed spending 4 months with you and am proud to say that I have filled the frame with facial hair… as have you all! Whiskerbert Out! @Mackle, you did an amazing job here… I admire your talent and the time you put into all of us! And remember… men should smell like jet fighters and punching! yeah... it's been hell fun... for realz. that is not at all what my comment said. vancouver was like one of the words in there. hold please. PERFECT. ATTENDANCE. and full of great shots, no less. A great shot to end on... to the future! I smell of punching and whisky, will that do? Is Punching and Smiting also acceptable? That is the best sign-off EVER. Jetfighters and punching. You've been a blast the entire time here. I am going to miss my daily doses of genius. From your excellent photographs everyday to the amazing beard posters you created. So much fun. now that is a beautiful picture. love the caption. Great shot. i'll miss this. goodbye, sir. Dude, so glad you did this with us. It's a bummer you couldn't go to the Throwdown, but one of these days you need to get yourself out to Kansas City. I will be talking to you on AIM as usual. Your beard is tripping me out. It's easily frameable and amazing. Glad you joined us on this journey of showing us how much better your beard is than ours. amazing beard and amazing art. sorry it too me until today to see your pictures. Love the play on every man a king theme! Great way to end this thing with! I hope you keep the beard, its a really strong one! I especialy like your day 3viking helmet photo, day 10 roman soldier, 21 jungle, 5th jan badge, 28th floating, & 17th feb shades, photos, hopefully i will have time to catch up commenting if i missed them. Well done. Great way to frame it for prosperity. 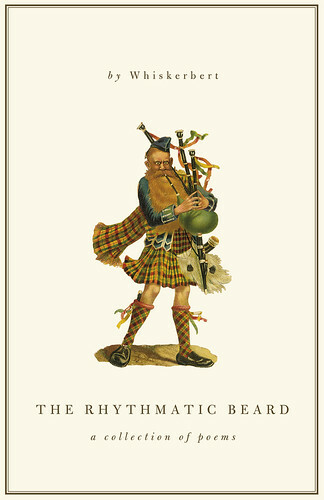 You've got a great beard you can be proud of. Best of luck to you, sir. Perfect attendance, yesss...and with a new kid no less! Nice work sir, keep it as real as your beard is long. to jet fighters AND punching!!! well done and wtg on the perfect attendance. Hopefully I'll be seeing you in Bend sometime this summer. Looking great! So pumped to have done this crazy thing with you! Its been good times man. I'm glad to have shared this experience with ya. I just ran out of the jet fighter punching cologne so I'm bout to head to the store. Hope to see you in Moustache May. I hope to see you in May too, you have already posted some amazing moustache pics! I also think you have aged 10 years with that beard. Which means not only should not get carded, you should be able to run for president! You are in a frame and Iron Man is on your shirt, so you win a lot of contests right there. It's been awesome, man, be well! I missed a day. Sadface. Great show all throughout, pal. Take care and I'll see you around. Good growin with ya... I'll be stalking you from the shadows of twitter. Jet fighters and punching. You've got it all figured out. It was an honor growing alongside you this year, sir. Your last picture is a fun one. great shot. need i say "well framed"?! Amazing and thank you! Maybe see you in two weeks? We need more details but it sounds exciting and so looking forward to the power of June! Amazing beard, sir. A pleasure growing with you. Take care of the little one and thanks fro representing the West Coast well. Great work all Whiskerino. 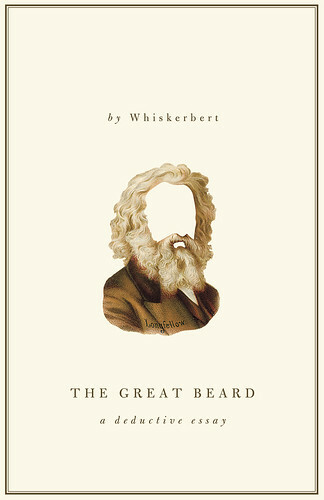 I hope you create more covers like those in your about section, which are amongst my favorite Whiskerino-related creations. you've given 4 months of solid photos. it has been fun. take care and be well.